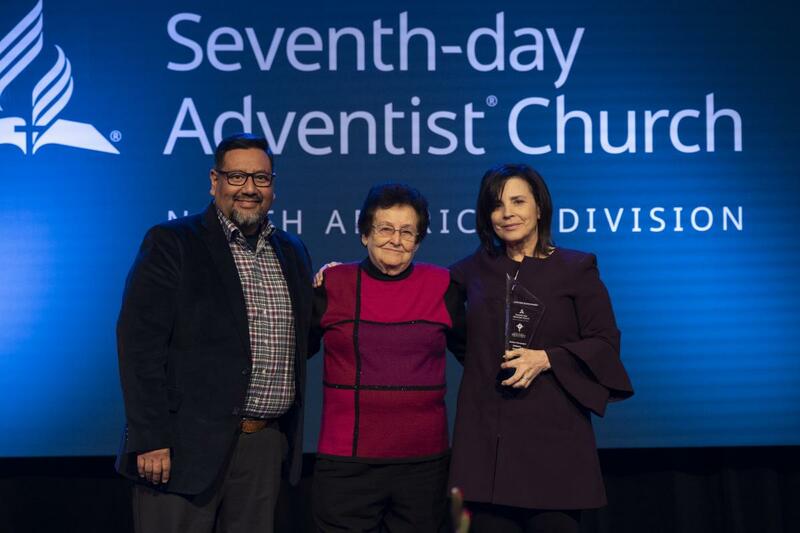 Barbara Manspeaker (pictured, center with Gerry Lopez, associate director of NAD’s Children’s Ministries, and Sherri Uhrig, director), former Children’s Ministries and Family Ministries director for the Columbia Union, received a Lifetime Achievement award for her work in Children’s Ministries. 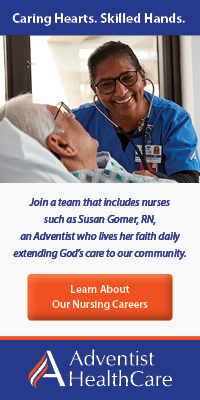 Minnie McNeil (pictured above), former Adventist Community Services and Disaster Relief director for the Allegheny East Conference and Columbia Union, was honored for her more than 15 years of service. 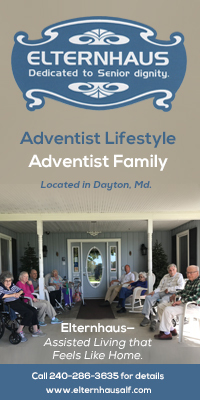 Gary Swanson, retired associate director for the Department of Sabbath School and Personal Ministries at the General Conference, and a member of Chesapeake Conference’s Spencerville (Md.) 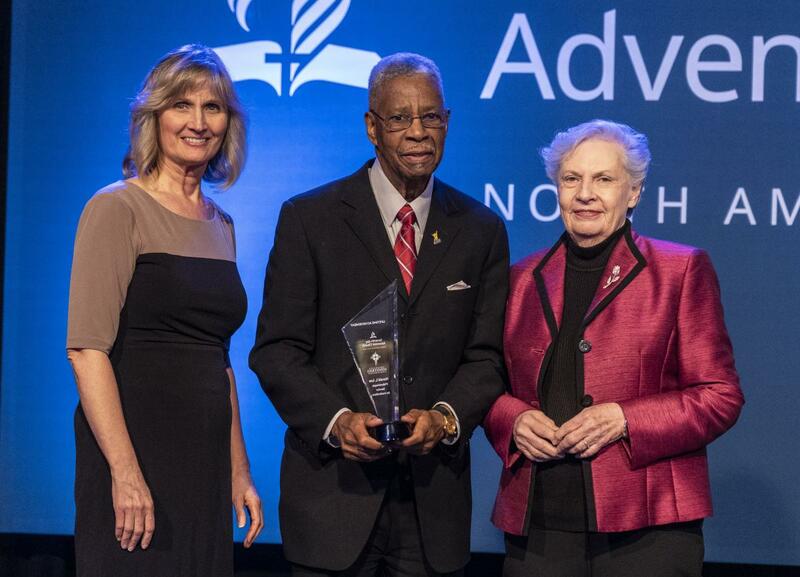 church, and Ron and Karen Flowers, retired co-directors of the Department of Family Ministries at the General Conferences, who are now active in Potomac Conference’s Charlottesville, Va., church, received awards for their ministries. Tamyra Horst, director for Prayer Ministries at the Pennsylvania Conference, and Women’s Ministries at the conference and Columbia Union, and Glen Milam, volunteer Pathfinder coordinator for the NAD, and director of Chesapeake Conference’s Mt Aetna Camp in Hagerstown, Md., received Excellence in Ministry awards.